I hope you don’t mind my writing to you about the fate of an important Browning site in Italy. 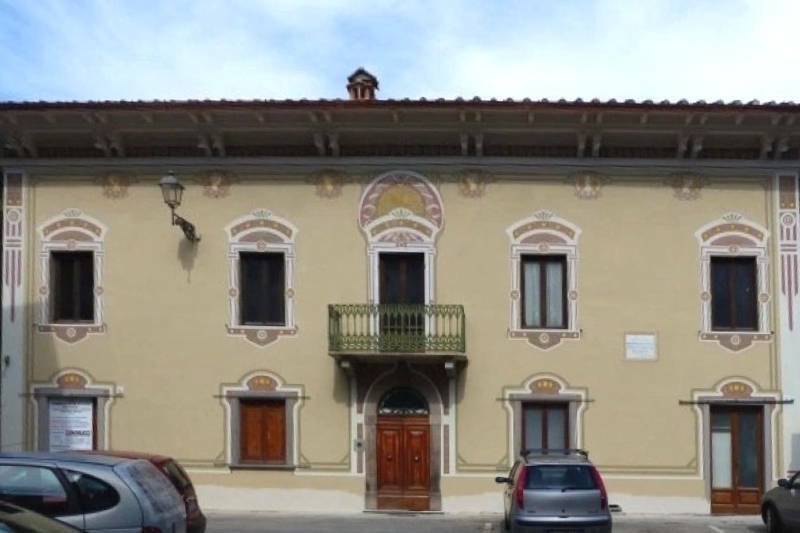 My son has recently bought, and is trying to rescue Casa Tolomei, Bagni di Lucca, Tuscany, which had been unoccupied for years and had fallen into disrepair. This was where Robert and Elizabeth Barratt Browning and their son Pen spent idyllic summers in 1853 & 1857, a plaque erected on the facade by Baylor University, Waco, Texas in 1930 records this. My son is hoping to restore it to how it was in the Brownings' time, with a view to running it as a Heritage Centre and literary retreat and also a B & B, or rent the Browning floor out so that Browning lovers or students have the opportunity to visit or study there. The groundplan of the house. Elizabeth and Robert wrote many letters describing the house, the area and the lovely summer they spent there, especially in 1853. She also drew a plan of the first floor, marking their bedrooms, dressing rooms etc. (Letter 3235 as published in The Brownings’ Correspondence 19, 190-96 The Wedgestone Press) The Brownings were each inspired to write some of their best work while staying at Casa Tolomei. 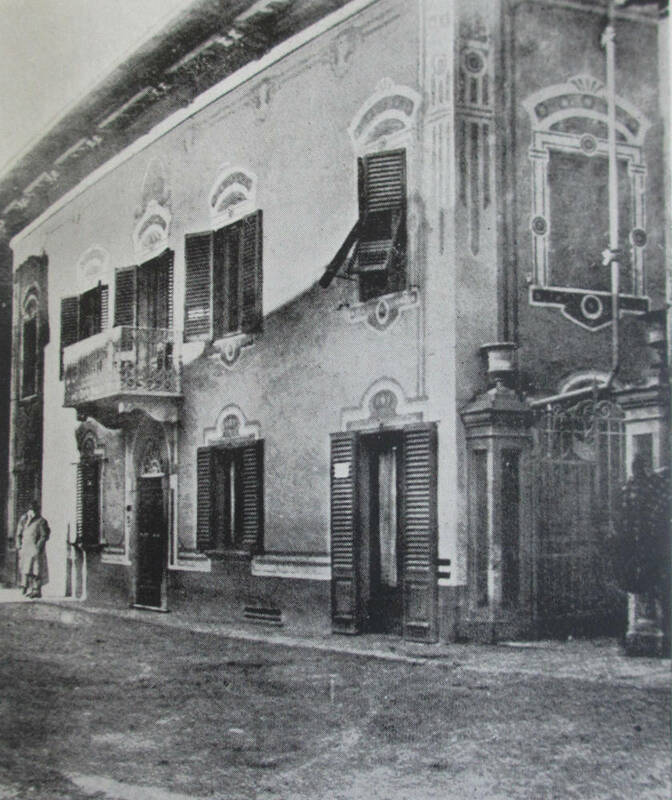 Incidentally, a previous owner was one of Puccini's best friends, and Puccini too had a bedroom at the house. 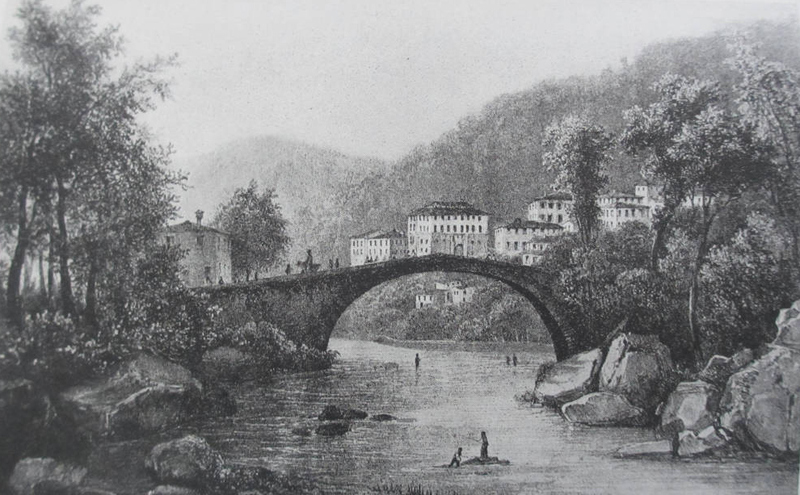 The house is of great historic importance to the lovely little town of Bagni di Lucca and its restoration will benefit the whole town. It’s a daunting task, costs have escalated and efforts to secure grants have been unsuccessful. Amazing efforts have already been made - the exterior has been painstakingly restored but the interior isn’t yet fit to invite guests, which is urgently needed; so I have started an appeal to help towards bringing the interior to a condition where they can invite the public, and also to raise awareness of what they are trying to achieve. American Browning scholar Peter Heydon of Michigan liked the project and has started off the restoration fund with a generous donation from his Mosaic Foundation, hoping that others will add to it – here is the link to “Save the Brownings' Summer Home” on the crowd sourcing site, gofundme.com Please take time to read the campaign page – it’s an interesting read about how the work is progressing and contains lots of photos and information about the Brownings and the history of the house. Please support this project if you can, and also share it with others if possible, so that hopefully a previously unavailable learning resource will soon be accessible for the first time by scholars, students or anyone with an interest in the Brownings. This house, with its memories of the Brownings, needs to be preserved so that future generations will be able to continue to enjoy and learn from it, and any support, however small, will be greatly appreciated.